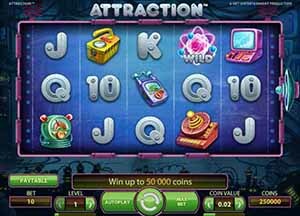 Mr Green Casino :: Attraction video slot – PLAY NOW! Attraction™, NetEnt’s new electromagnetic video slot, takes players deep underground to a secret lab where the electricity goes ‘Wild’. 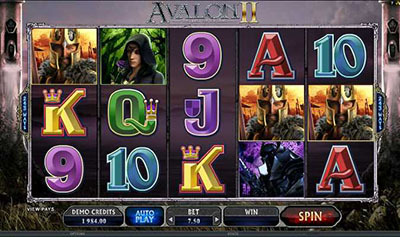 The game is a 5-reel, 3-row, 10-line video slot featuring the Magnet, the main feature of the game. The Magnet feature works together with the Wild symbols to activate Sticky Wilds and Re-Spins. During every spin of the game a magnet appears on a random position on the outside edge of the reel frame. A beam of animated pulsing light helps the players see what position the magnet is on. After an electric shock, an animated ball of electricity shoots out of the Wild and towards the magnet, transforming all other symbols in its path into Sticky Wild symbols. 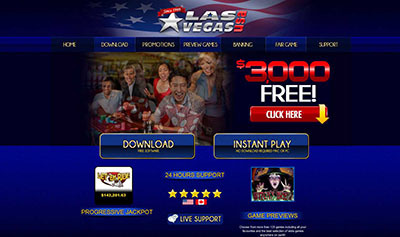 Attraction™ offers players high levels of excitement through its progressive gameplay and ever present feelings of win anticipation. The graphics in the game combined with catchy animations and vibrant colours mean the overall look and feel of Attraction™ is perfectly suited to its main feature – Electromagnets. Attraction™ :: You can try this NEW Slot game right now at the following casinos: 24hCasino, Mr.Smith Casino, ZonCasino, Next Casino, iGame Casino, Jetbull Casino, Unibet Casino, Vera & John Casino, ComeOn Casino, Mr.Green Casino, EuroSlots Casino, Tropezia Palace Casino and RedBet Casino. PropaWin Casino :: 50 Free Spins absolutely Free! Copyright © 2019 Online Gambling News. Powered by WordPress. Theme: Spacious by ThemeGrill.